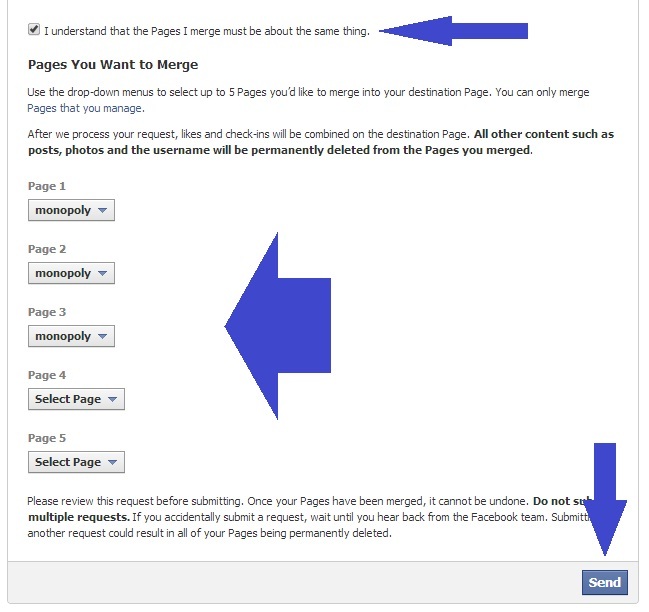 Facebook let you merge several pages you owned in a single page, in case they had the same name, the same specifications and other simple conditions, but after you merge of 5 or 6 pages you will see this error message. "An error has occurred while merging pages. This May Be Caused by your attempt to merge too many pages "
Facebook produced an official request to merge duplicated pages, but it's now available in the United States, Canada and Britain only, so if you are outside these country's, you should use a proxy to enter the application page. After that they will send you an email within 24-48 hours or a week at the latest. Do not submit more than one application to merge pages, just wait until the approval for the first one then submit another request. 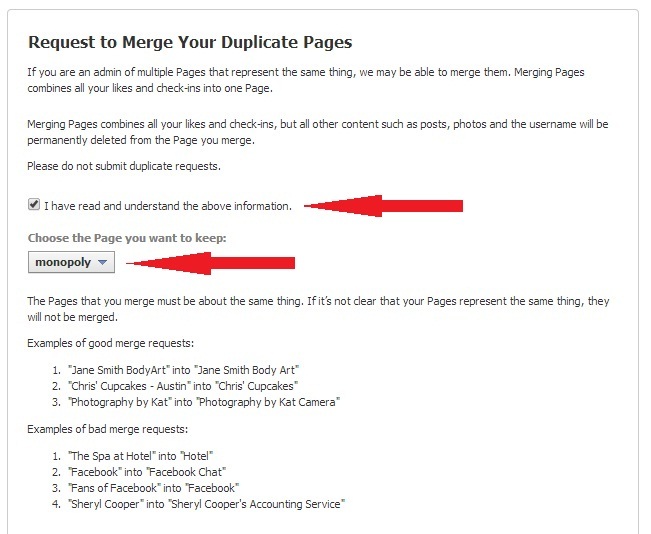 Try To make the Pages you want to merge similar as much as possible, this will increase the chance of request approval.